Plantation Lakes in Carolina Forest is just West of Myrtle Beach, South Carolina. There are many Carolina Forest homes for sale, but this Myrtle Beach luxury community offers affordability and elegance, all within minutes of the beach. Real Estate in Carolina Forest varies from neighborhood to neighborhood, so when you're searching for a premier neighborhood, don't miss the homes for sale in Plantation Lakes! Our community offers custom-built luxury homes with prices ranging from the high $300's to over $1 Million and residential building lots from the $80's to $200k+. You can find many homes for sale in Carolina Forest, but you'll find real estate in Plantation Lakes offers the ultimate in selection with a wide variety of home styles to choose from. Lakefront and wooded lots are available, and there's no time fame to build. Take advantage of the great real estate deals available now and build when you're ready. Plantation Lakes Foreclosures are available in both homes and lots, and offer a great opportunity for someone searching for real estate in Myrtle Beach. Whether you're looking for a primary residence, second home, investment property, or residential lot, Plantation Lakes is perfect for the discriminating buyer. An expansive lake with over 15 miles of shoreline can be seen from the lakefront homes for sale, while tranquil views of nature can be found on the available lots that adjoin the acres of Conservation Area. Boating is allowed on the lake, and neighbors can often be found enjoying unique views of the homes in Plantation Lakes that can only be seen from the water. Many first-time visitors assume Plantation Lakes has several lakes when, in fact, it's one continuous lake. All lakefront lots have direct access to the Amenities Center by taking your pontoon boat to the day docks. Enjoy fishing? The lake is stocked with a variety of fish including large mouth bass, catfish, certain types of panfish. Many homeowners have reporting catching 2-4 lb. bass regularly, and the occasional large catfish. One lucky homeowner reeled in a 9 pound large mouth bass! The stunning Amenities Center boasts multiple swimming pools, a large fitness room, indoor and outdoor picnic areas, as well as lighted tennis and basketball courts! The two enormous pools are perfect for those warm Myrtle Beach summers, and offer plenty of space to soak up some sun. Private Changing Rooms/Bathrooms are conveniently located adjacent to the pool area. The Amenities Center may be rented by property owners in Plantation Lakes, and has hosted numerous birthday and holiday parties, receptions, and even a wedding or two. With it's own Day Dock, you can take your pontoon boat right from your home to the Amenities Center to enjoy the activities. Located in the heart of Carolina Forest, Plantation Lakes is just minutes to downtown Myrtle Beach. Centrally located, you can reach all parts of the Grand Strand with just a short drive. Whether you're looking for crabs in Little River or seafood in Murrells Inlet, you're only minutes away! A multitude of stores can also be found directly within Carolina Forest, and Coastal Grande Mall and Tanger Outlet mall are just a few miles away. Carolina Forest is also part of the Horry County School System which proudly rank as top-rated schools, and has some of the newest schools in the area. Whether you're looking for Homes for Sale, Lots for Sale, Foreclosures or Short Sales, you'll find it all in the categories on the right side of this page. To search the entire Myrtle Beach MLS click here: Myrtle Beach Real Estate, or click on the Myrtle Beach MLS tab above. For Carolina Forest Real Estate, check out are Homes for Sale in Carolina Forest tab. We're here to help! 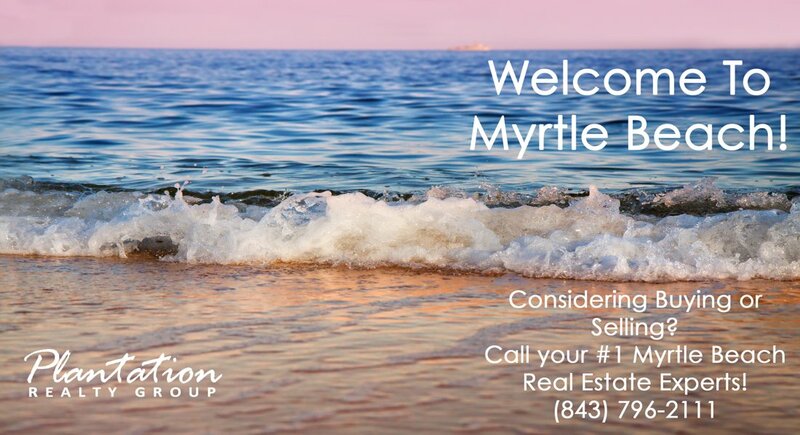 If you have any questions about Plantation Lakes, Carolina Forest, or Myrtle Beach Real Estate please call or email Rob Mason at MyrtleBeachRob@yahoo.com or (843)325-5985 for immediate assistance. As Top Producing Agents in Plantation Lakes, we have the knowledge and experience to handle your important sale or purchase. We've sold more homes and lots in Plantation Lakes than any other agents, so you can be confident you're working with the most knowledgeable Myrtle Beach real estate professionals available. Get a FREE Home Valuation, in LESS THAN 60 seconds! No obligations or requirements. CLICK HERE to get your FREE HOME VALUATION from your Local Myrtle Beach Real Estate Experts at Plantation Realty Group! Follow Us on Social Media for Immediate Updates and Notifications!